Complying with the batteries and accumulators (placing on the market) regulations for manufacturers. If you design or manufacture any type of battery or accumulator for the UK market, including batteries that are incorporated in appliances, they must contain the agreed levels of prohibited materials, be labelled correctly and be readily removable. Find out what types of batteries are regulated. Batteries cannot contain more than 0.0005% of mercury by weight. However, button cells can contain up to 2% mercury by weight if marked Hg and placed on the market before 1 October 2015. Batteries cannot contain more than 0.004% of lead by weight unless marked Pb. All chemical labelling on batteries must be visible, legible and indelible. 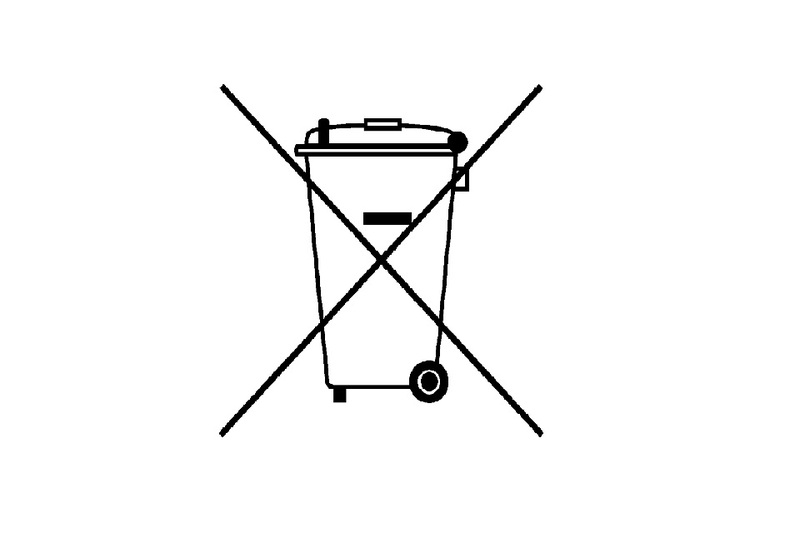 Batteries must also be labelled with a crossed out wheeled bin as shown below. If a battery is so small that the size of the symbol would be less than 0.5 x 0.5 cm, then you must place the symbol on the packaging, but it must be at least 1cm x 1cm. Where a battery is provided within another piece of equipment and it is impractical to mark the battery, the symbol must be marked on the packaging of the product. If the size of the battery, accumulator or battery pack is too small to be suitably marked, the capacity must be marked on the packaging with a minimum size of 5.0 × 12.0 mm (height x length). If it is not supplied with its own packaging, the capacity must be marked on the packaging of the appliance it is sold with. You must design appliances that incorporate batteries so that the person using the appliance can readily remove the battery. This means that they should be able to remove it safely and without difficulty, using the instructions provided where necessary. Where it is not possible for the battery to be readily removed by the person using the appliance, an independent qualified professional must be able to readily remove it. The instructions must explain the type of battery incorporated, where appropriate. This does not apply where a permanent connection between the appliance and the battery is needed for safety, performance, medical or data integrity. Batteries are regulated via a range of legislation, primarily the Batteries and Accumulators and Waste Batteries and Accumulators Directive amended by Directive 2013/56/EU and the Capacity Labelling of Portable Secondary (Rechargeable) and Automotive Batteries and Accumulators Regulations. Subscribe to our free email alert service to keep up to date on the latest developments concerning the legislation that the Office for Product Safety and Standards enforces. 28 January 2015 Updated guidance on mercury and cadmium restrictions and making batteries readily removable.